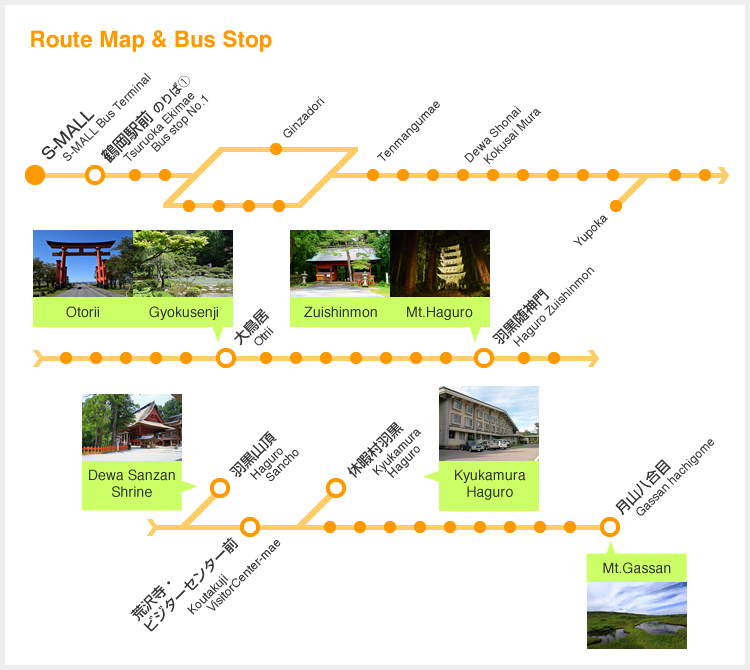 A guide to major tourist attractions and nearby bus stops along the “Haguro-Gassan” Line. 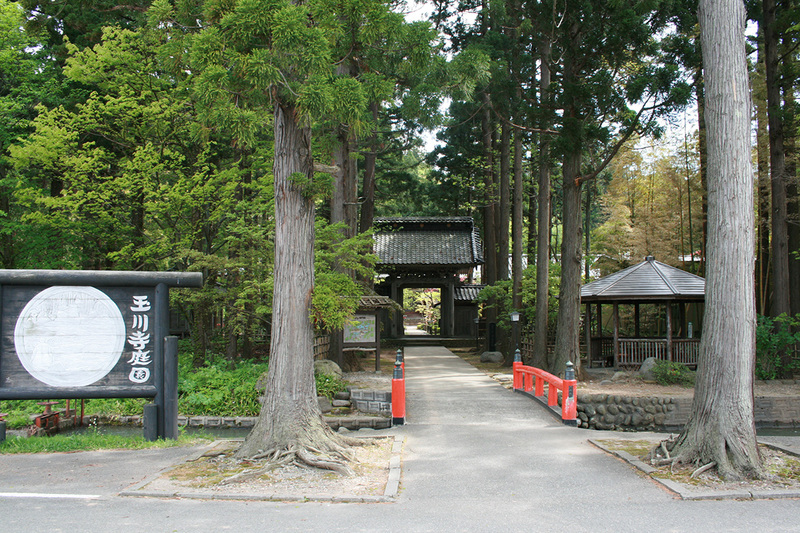 A ryobu-style torii, or a Shinto gate, 20 meters high and 15 meters wide. 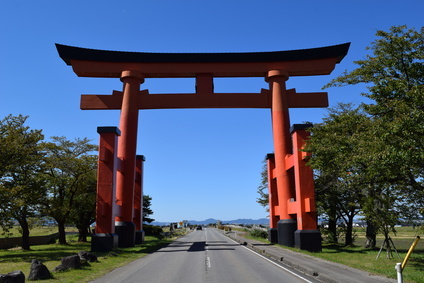 It is the biggest torii in the Tohoku region, and its beautiful shape painted in scarlet captures those who see it. It was contributed by Mr. Tetsutaro Yoshioka from Yamagata City in 1929. 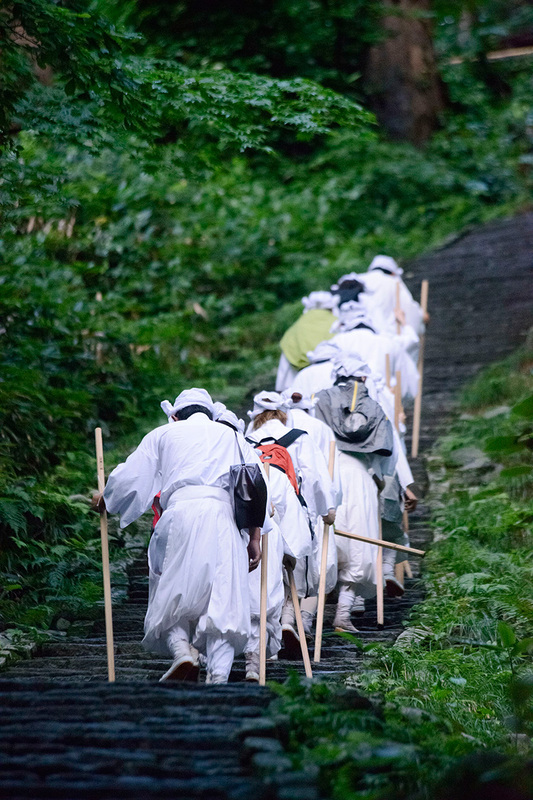 The uphill road extending from here is called “Kamiji-zaka,” or the slope of god’s way, which forms a part of the beautiful landscape with the torii lit up at night. This temple is designated a national scenic spot and nicknamed “Temple of Flowers.” It is well known as a temple with a variety of flowers, including Japanese primrose, azalea and maple. 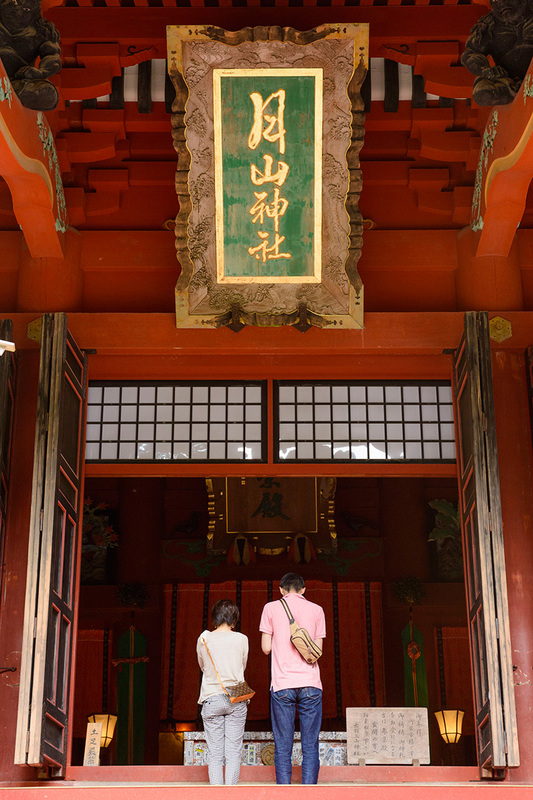 It enshrines the guardian god who prevents intrusions of vicious existences into the sacred area. 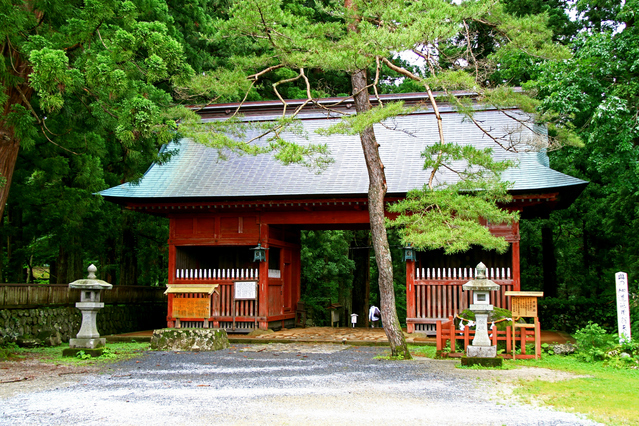 Until the Meiji period, it was called “Nio-mon” gate, which was contributed in 1695 by Ikoma Sanukinomori, the lord of what is now Yashima, Yurihonjo in Akita prefecture, to pray for family prosperity and blessed death. On both sides of the front approach to Mt. 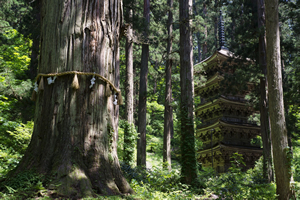 Haguro, commencing from the Zuishin-mon, are cedar trees of about 350-500 years old, amounting to no less than 400 trees, all designated special natural monuments by the national government. 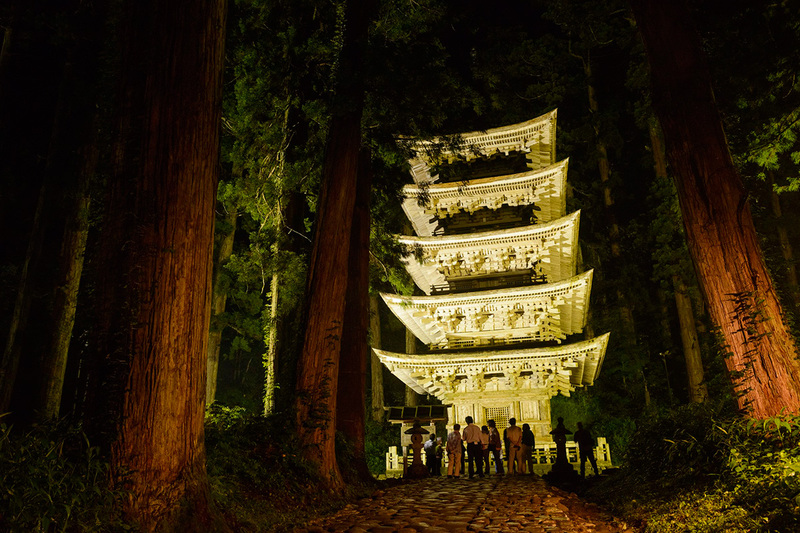 It is said that there are 33 figures carved on the stone steps on the hills, including sakazuki cups, bottle gourds and lotus flowers, and the wishes of those who have found all of them come true. 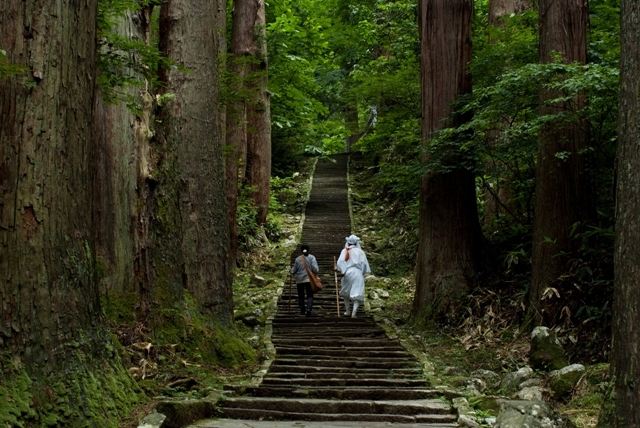 A certificate for climbing all the stone steps is awarded (free of charge) at the tea house on “Ninosaka” (the second hill). 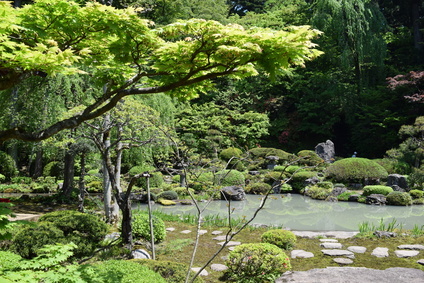 It is located amongst the cedar grove at the entrance to “Ichinosaka” (the first hill), on the approach to Mt. Haguro. 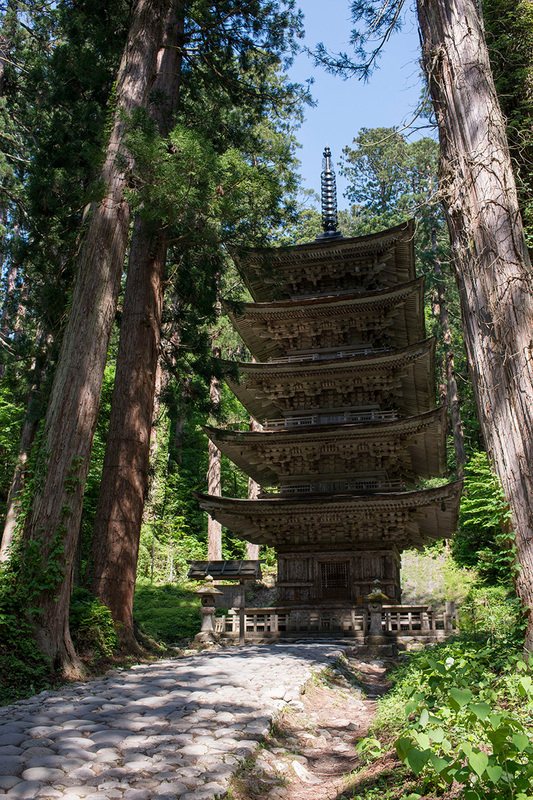 The pagoda is said to be the oldest in the Tohoku Region, first constructed by Taira no Masakado. 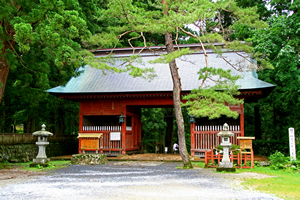 The present pagoda is said to have been reconstructed about 600 years ago. 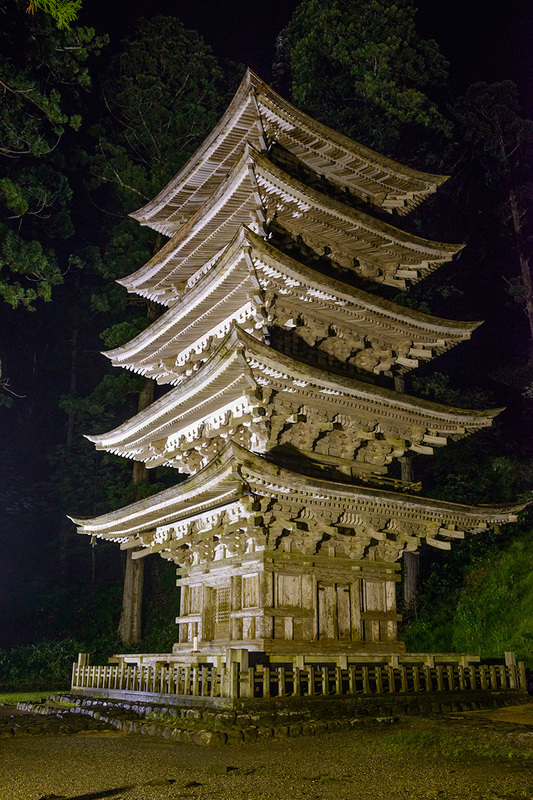 Made of wood, it is a five-story pagoda 29 meters high, each floor measuring about 5.5 meters wide, and designated a national treasure in 1966. In the vicinity is a 1000-year-old gigantic cedar called “Jii-sugi” (literally grandfather cedar), of which the perimeter of the trunk measures 10 meters, and it is designated a natural monument by the national government. It is one of the largest shrines in Japan, enshrining together the three gods of Mt. Gassan, Mt. Haguro and Mt. 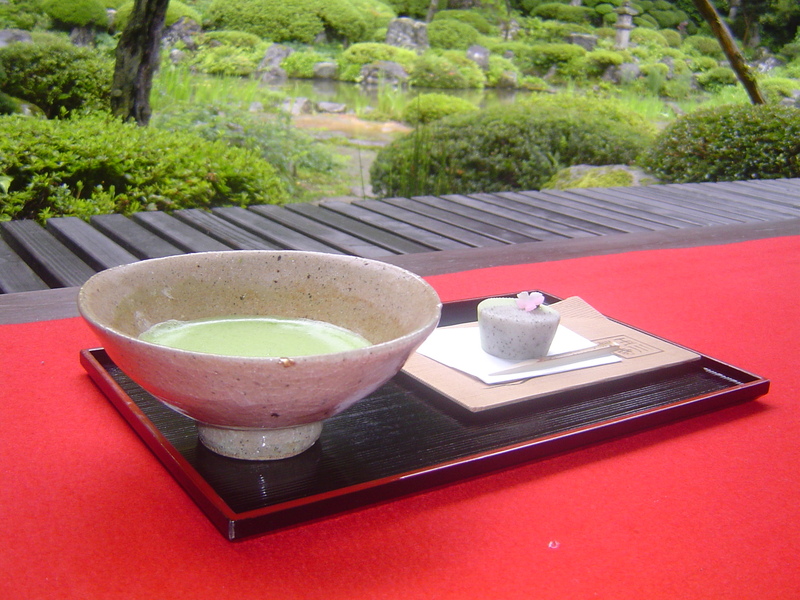 Yudono. Anything you look at, including its 2.1-meter thick thatched roof and all lacquered interior, has vigor and is worth while seeing. 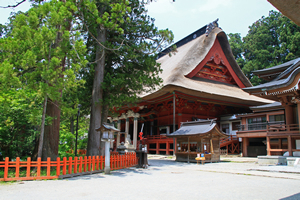 In spite of repeated fires, the present main shrine was reconstructed in 1818. 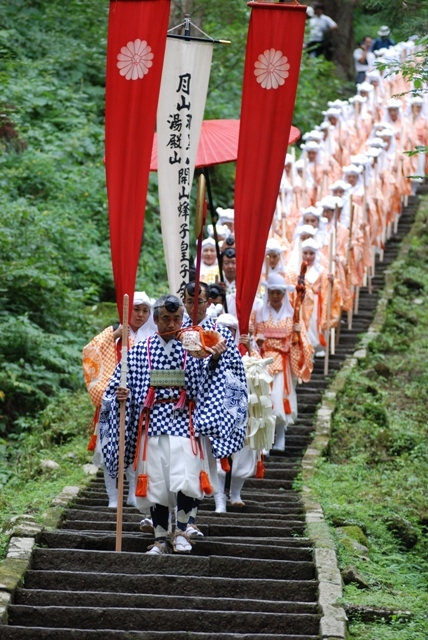 Kagami-ike, located in front of the shrine, has long been the target of people’s worship, as a mysterious lake, and it has also been the center of worship toward Mt. Haguro. 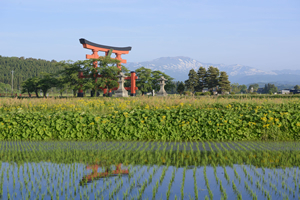 It is a relaxing spot where you can discover the nature and the history of Mt. Haguro. 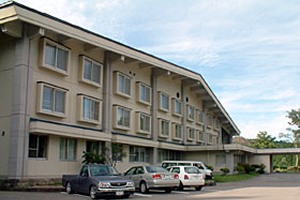 The facility combines a hotel, hot springs, a campground, ski slopes, hiking trails, and tennis courts, among other sites. Hands-on events are also organized. 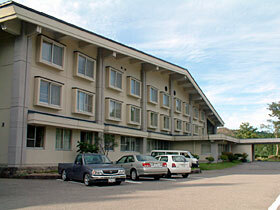 It is a comprehensive resort facility where you can find amusement while enjoying nature throughout the year. Mt. 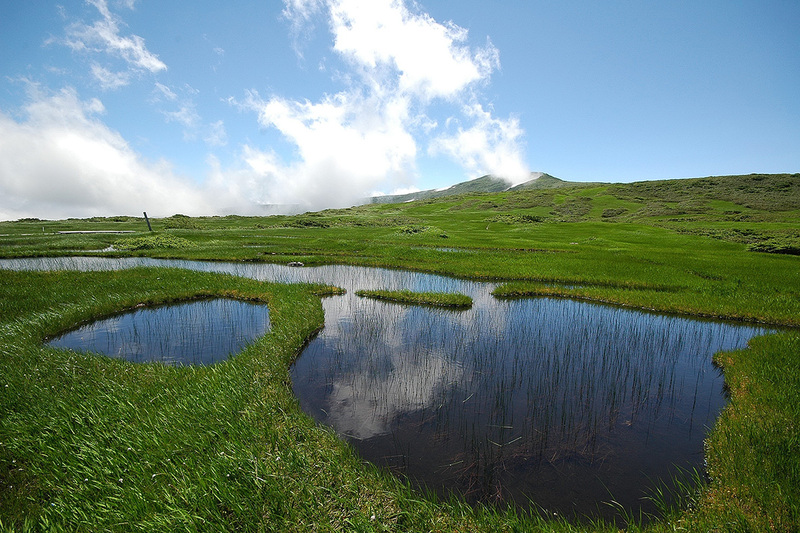 Gassan, the main peak of the Three Mountains of Dewa, has an altitude of 1,984 meters and is located roughly at the center of Yamagata prefecture. 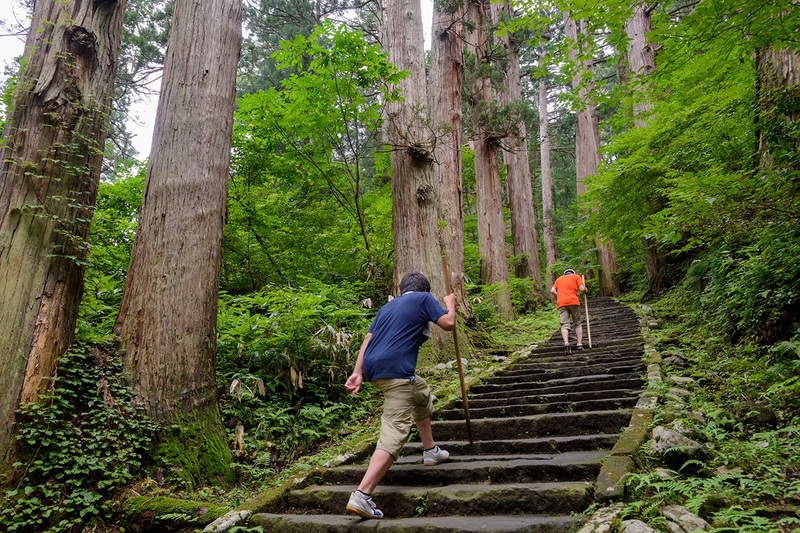 The mountain belongs to the northern area of Bandai-Asahi National Park, in which beautiful Mother Nature still reigns, including virgin beech forests as well as rare wild plants and animals. On the Midagahara plateau, on which you can reach as high as the eighth station of Mt. 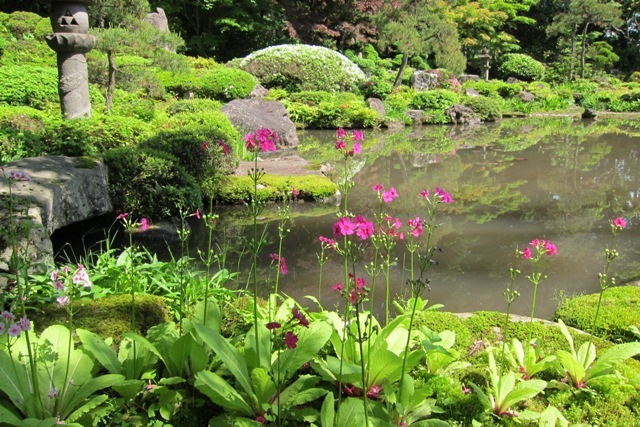 Gassan, more than 130 different kinds of pretty flowers bloom, including nikkokisuge and Asian skunk cabbage, forming one of the most abundant treasure troves of alpine plants. 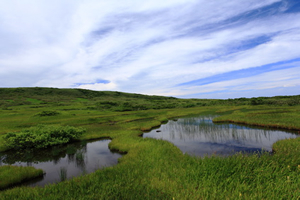 Following the neatly maintained boardwalk, you can make a round tour within about 60 minutes to enjoy heavenly nature on the gentle slope of marshland at an altitude of about 1,400 meters.